I was given the wonderful opportunity to try the Tropicale line for myself. Two words, "Fancy Schmancy". I closed my eyes and imagined I was at a luxurious European spa - the smell of the lather took me there. Then I opened an eye and saw little tennis shoes and a Thomas train on the back of the toilet and quick realized where I was. Really, you can tell upon using this product, that it's not ordinary department store stuff. This is spa quality. The tropicale line is De-Aging. The set comes packaged in the most wonderful box, and comes with three products. I received the Papaya & Pineapple. -De-Aging Saltmousse - This aromatic De-Aging Saltmousse Papaya-Pineapple delivers an aroma-sensory experience. Its fluffy lather removes impurities and toxins by gently polishing your skin. As the salt dissolves, negative ions and repairing tropical fruit extracts are quickly absorbed. Your body emerges velvety-smooth. Ideal for all skin types. -De-Aging Mist - Awaken and infuse your skin with a refreshing boost of hydration any time. Deeply moisturizing, De-Aging Mist Papaya-Pineapple replenishes your skin with an aromatic blend of tropical fruits including Pomegranate, combined with Hyaluronic Acid, Aloe, Chamomile, and other natural ingredients. Ideal for all skin types. - De-Aging Body Balm- Seductively rich and creamy, the De-Aging Balm Papaya-Pineapple awakens the senses with its delightful aroma and silky texture. Formulated with microemulsified Shea Butter, it is also enriched with Collagen and Elastin Polypeptides, Tegospheres with Retinol, Pomegranate, and other anti-aging tropical fruit extracts. Your skin is wonderfully replenished and visibly repaired. Ideal for all skin types. Now doesn't that sound wonderful? Like a mini vacation almost? Pevonia's Eco Green Program is planting 10,000 trees nationwide with Arbor Foundation!! Pevonia is offering one of you the same wonderful Tropicale De-Aging Set in the wonderful Papaya-Pineapple scent & the same cute box! You'll love it!! 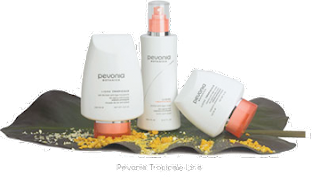 Visit Pevonia - the Recommended for you page, and tell me one product that is recommended for your skin concerns. Recommended product: Seaweed exfoliating soap! I subscribe with Google Reader, I follow on twitter, I tweeted here, and I entered the eco tools giveaway. Whew! They recommend: Oxygenating Sensitive Skin Cream. What a beautiful website and experience visiting Pevonia was! One of the recommended products for me is the Pevonia RS2 Care Cream. It is to decongest my complexion! It is soothing and will help to keep my skin clear, now that is cool! 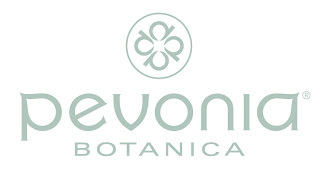 I enjoyed learning about the amazing Pevonia products and you are right, ooh, la, la! Thanks for the opportunity to enter. 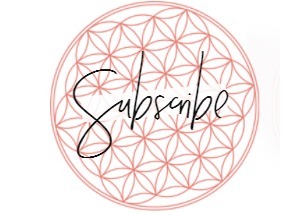 I am now subscribed to review your updates through email! I entered the Gold Label Virgin Coconut Oil. I like the Combo skin cleanser. I totally need that. Purifying Skin Mask is recommended for me. Treatment. 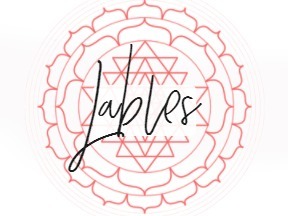 Please add my name to your fabulous giveaway drawing. I am also an email subscriber to your blog. Thanks for the chance to win these wonderful facial products. I entered TINY SOLES* Review & GIVEAWAY. Subscribed via email just now. Following you on Twitter id- skyxsky27 & a Tweet! Looks like great products! I'd love to try. Recommended for me is the Purifying Skin Mask!! RS2 Mask Treatment would be nice. I entered the Eco Tools. I entered the Chebe giveaway. Good morning and TGIF! 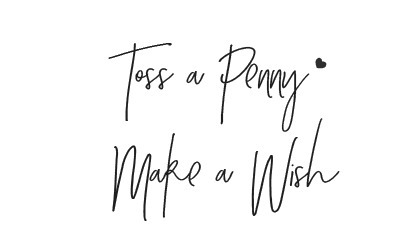 Here's a new tweet for today! the purifying skin mask looks like a great product. Vitaminic Concentrate - the marine cream is also enticing! The Oxygenating Dry Skin Cream was one of my recommendations for my skin concerns. They recommended the Purifying Skin Mask for me. I entered Breezy Bag giveaway too! Entered the breezy bags giveaway. They recommended the Seaweed exfoliating soap.